There's a number of races coming up in Sydney over the next few months. The first is the Wind Surf n Snow Roseville Bridge 2 Bridge Race on May 5th. 14 km from Middle Harbour Skiff to Roseville Bridge and return. There'll also be a shorter 7km race approx and a kids race. This is a great area to paddle and the skiffie is a great venue for the after party. This is the 2nd last race on the Sydney Paddle Surfing Club's race series so it will certainly be hotly contested. This race is generously supported by Sam parker and the crew at Wind surf n Snow. Here is a look at the 14km course. June 2nd sees the running of the JPP Bridgey's Earth Moving Buoy Turn Challenge. 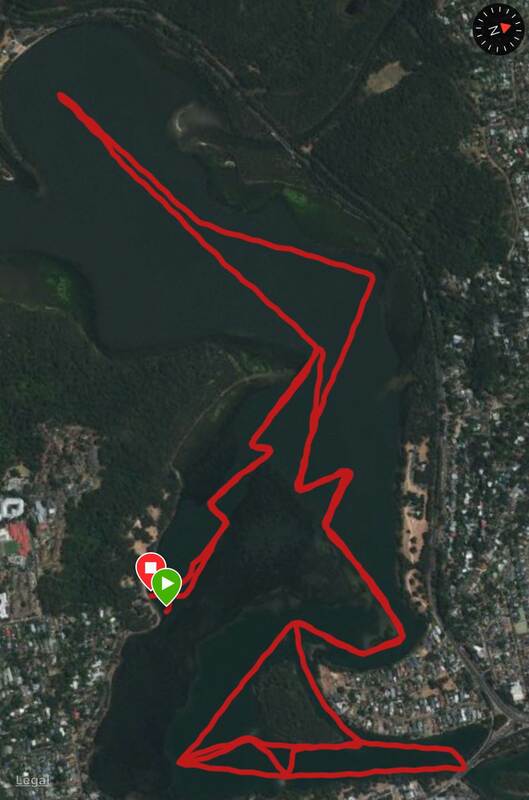 An 11km course encompassing some 32 buoy turns on Narrabeen Lake. This event uses the navigation buoys on Narrabeen Lake to provide a challenging and scenic course. This event was won by James casey last year but as he will be overseas competing this year the event is now wide open. Lots of prizes and a huge after BBQ following the race. This race is the last race on the Sydney paddle Surfing Club's race series. Dave Kissane taking the early lead last year with James casey "foxing" to his right. The awesome venue for the Windsurfnsnow Roseville Bridge 2 Bridge Race - Middle harbour 16 Foot skiff club. Registration for the Windsurfnsnow Roseville Bridge 2 Bridge on May 5 is open. $30 entry for the 14k and 6k, and just $10 for the junior race. The race will start at 10:30am at Middle Harbour 16ft Skiff Club.